Astute viewers of BBC’s plesiosaur-fest on Planet Dinosaur this week may have spotted my name dash across the screen at the end credits. ‘Fight for Life’, the fourth in the series, was the first episode, and so far as I’m aware only episode, to plunge us into the Mesozoic oceans and introduce us to some marine life. I’ll obviously skip the dinosaurs and concentrate just on the plesiosaurs. Having seen the earliest designs of the marine reptiles for this episode, and later the first test animations, the show might have been heading for a disaster. You can thank me now, if you wish, for helping to purge swan-necks from the show and for banishing bodily undulations from the plesiosaurs’ locomotory repertoire. Looking back at the huge gulf in accuracy between the early designs I saw and the finished renderings helps me to put them into perspective, and so I look upon the anatomical issues that remain with some relief in the knowledge that they could have been so much worse. But I would certainly tweak aspects of the anatomy and movement if I had the chance. Of course, budget and deadlines all played a factor and limited the amount of back and forth possible in the design process. And it also doesn’t help that so little is actually known about the stars of the show, both Kimmerosaurus and Predator X. The designers depend on existing reconstructions and restorations for visual guidance and this is often lacking. The cryptoclidid plesiosaur Kimmerosaurus is closely related to Cryptoclidus. It was named in 1981 on the basis of an isolated skull (Brown, 1981). Some referred material, including some anterior cervical vertebrae, was later identified and subsequent comparison of these vertebrae with those of Colymbosaurus, a genus known inconveniently from everything but a head, led Brown et al. (1986) to suggest both genera belonged to the same taxon. Whether congeneric or not, the similarities in the overlapping anatomy are close enough that skeletal data from Colymbosaurus was used as a basis for filling in the gaps in our knowledge of the postcranium of Kimmerosaurus in Planet Dinosaur. Another problem though, is that Colymbosaurus is a bit of a prickly taxon itself, but I won’t confuse matters any further. 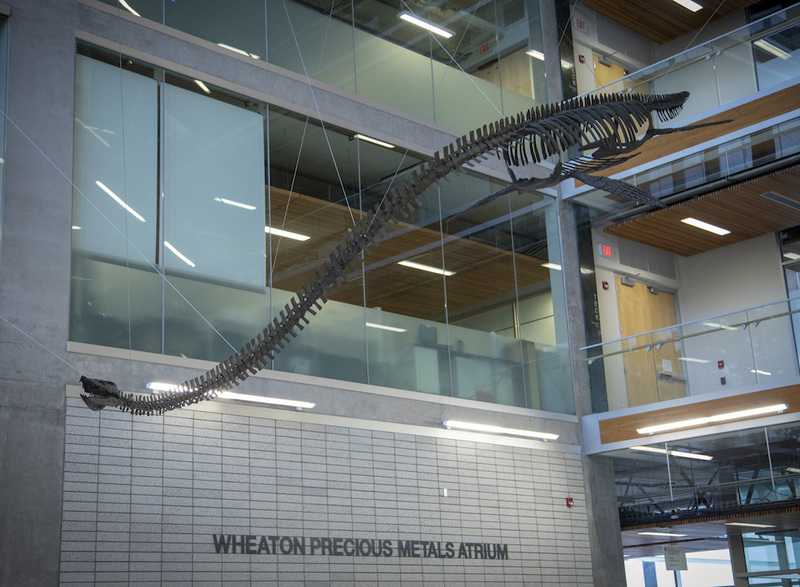 Taxonomy aside, we know that at least one moderately large (up to around 6m) long-necked plesiosaur skulked around in the Late Jurassic. 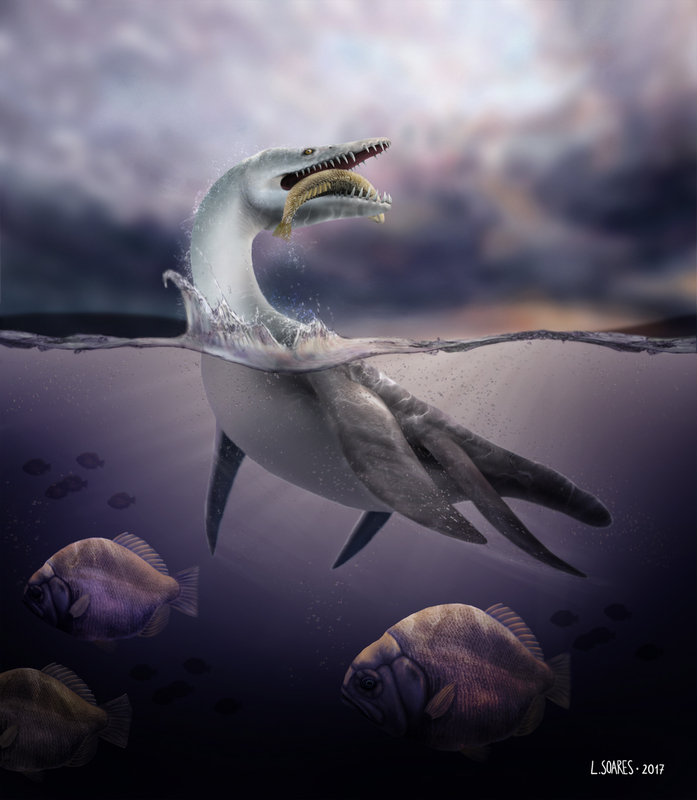 Plesiosaurs from the Tithonian of Svalbard have been tentatively referred to Kimmerosaurus. Kimmerosaurus gets a close up in Planet Dinosaur. Copyright BBC. Right. There’s a dinosaur called ‘Predator X’ that’s a rubbish name. It should be called a Furiousaurus. I’ll write a letter. To someone. I would enjoy Predator X more, but I haven’t seen Predators IV-IX yet. Naming a dinosaur ‘Predator X’ makes it sound like the anonymous defendant in a sexual assault trial. 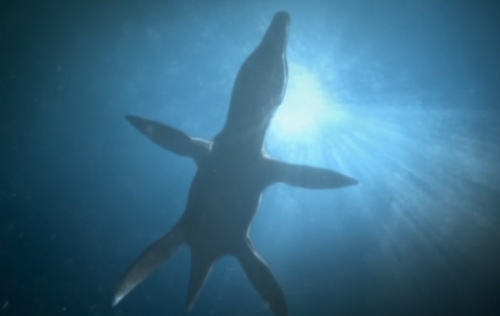 “Planet Dinosaur” on BBC1 featured a big marine pliosaur called “Predator X”. Why doesn’t it have a proper Latin classification name?!?? Predator X swims overhead in Planet Dinosaur. Copyright BBC. So, let’s review what we saw. 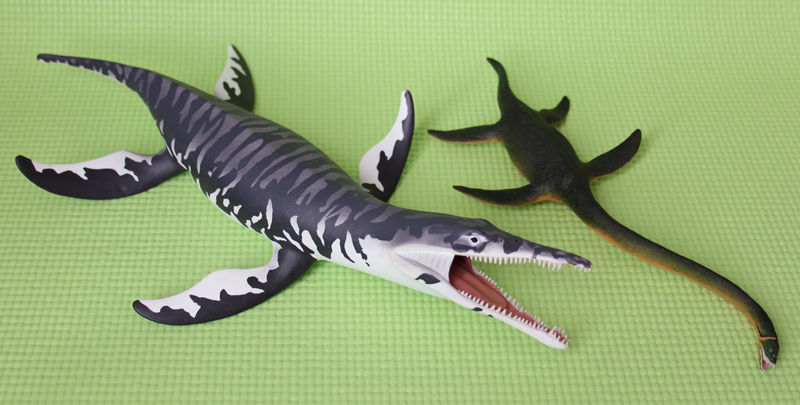 Overall I was quite pleased with the appearance of the pliosaur, which was based on reconstructions of Pliosaurus. But there are problems. The dentition is way off and altogether rather too generic, with the diagnostic large caniniform teeth omitted completely. I was never consulted about the teeth of the pliosaur so I dodge all responsibility here, but I do know the animators had issues with the teeth of Kimmerosaurus too, its mouth wouldn’t shut unless they shrunk and tweaked the angle of the teeth a bit. In the case of both Kimmerosaurus and the pliosaur, the modelers had wrongly endowed them with a slight overbite, so the tooth rows don’t quite line up as they would have in life – no wonder they couldn’t get the teeth to interlock. The teeth were added at a later stage in the design procedure, after the overall body shape had been finalised, so it was too late to go back. As a workaround, they angled the teeth in the mandible more horizontally and shrunk them a bit. Dodgy stuff. The puffy eyelids in the pliosaur seemed a bit unnecessary and I’d have preferred more musculature at the rear of the jawline, but overall the head is pretty good in my opinion. I thought the head of Kimmerosaurus, with its nice long tooth rows of many tiny teeth, was rather good too. I spotted the far too deeply concave temporal fenestrae quite early on in the design process and despite my concerns (they were supposed to be filled out later on) they still managed to find their way into the finished renderings. The dinosaurs in the series have also suffered the same fate. At least the eyes weren’t placed in the temporal fenestrae in Kimmerosaurus as has occurred in other plesiosaur restorations. The bodies of both animals are also generally good, with satisfyingly streamlined outlines and beefy musculature around the base of the limbs, fitting for animals that propel themselves through the water by flipper power. The slightly flattened tip of the tail in the pliosaur was a compromise between a fully developed tail fin, a feature I and others suspect many plesiosaurs had, and no tail fin at all. I liked it. I liked the grizzled appearance of the pliosaur’s skin, but while I was pleased to see the end of the obligatory black and white pattern so often attributed to large pliosaurs (post WWD Liopleurodon), I was a bit disappointed that every single plesiosaur was basically grey. I’d have loved a few greens, or at least some differentiation between the predator and prey. Also, despite my suggestion, no parasites or patholoies to be seen on any of the beasties, which I thought was a lost opportunity. Well, I think I’ve gone on far enough for now so I’ll leave discussion of the behaviour, animation and range of motion for part 2. Suffice to say there are issues. Comparisons with the WWD episode ‘Cruel Sea’ are also justified and I may head into such territory on a later occasion too. Brown, D. S. 1981. The English Upper Jurassic Plesiosauroidea (Reptilia) and a review of the phylogeny and classification of the Plesiosauria. Bulletin of the British Museum (Natural History): Geology, 35, 253-347. Brown, D. S., Milner, A. C., and Taylor, M. A. 1986. New material of the plesiosaur Kimmerosaurus langhami Brown from the Kimmeridge Clay of Dorset. Bulletin of the British Museum (Natural History), Geology, 40, 225-234. Knutsen, E., Druckenmiller, P., Hurum, J., Nakrem, H. 2009. Preliminary account of new Late Jurassic pliosaurid material from Svalbard, Norway. Journal of Vertebrate Paleontology, 128A. Great post Adam – I look forward to the second half. I thought that most people knew by now that plesiosaurs weren’t dinosaurs, and so decided to forgive the show for not mentioning the fact – evidently I was mistaken! All in all I think the marine reptile segment of the programme was better than that part that focused on the Morrison Formation, but I could be biased. One comment made by the narrator did surprise me, he alluded to the fact that Kimmerosaurus was common, not based on the fossil evidence – I think. Thanks for your review.